We've been experiencing those curious 80 degree January days here in Los Angeles, the kind accompanied by dry hot wind loaded with freeway dust and desert viruses, livid tomato sunsets and mutterings of “earthquake weather.” It's a sneak preview of summer before the winter rains start in earnest, and this is the meteorological setting in which I reflect upon some of my favorite sensory diversions of the last few months. I immediately clicked with La Fumée's smoky dry woods. Sensual, ambery-furry labdanum brings the powder. This EDP includes incense, sandalwood and birch tar, and the effect is that of burning tree sap in a bonfire. Cardamom and coriander spice up the dryness quite funkily. Thick but not heavy, La Fumée is a class reunion of all the OGs of the ancient perfume world. In fact, it reminds me of the beautiful Old Testament scent of Mystra, a perfume oil by Aesop that lingers all of one second on me, so I'm very happy to discover that La Fumée's entrancing resins can go the distance. Sheer Concealer: This undereye cover-up is an click pen concealer that has all the right stuff: it lightens my dark circles while simultaneously disappearing into the skin. But not in an artificial, “I'm prepping for my photo call with the Kardashians” kind of way. Your skin still looks like skin, not like the bloodless surface of a fluorescent moon. It is called “Sheer Concealer” after all, which is the right approach for real life, not reality TV real life. Even better, these come in real skin colors, not the odd calamine lotion pink of Yves Saint Laurent Touche Éclat, fr'instance. And while there is a barely detectable sheen, there are no actual sparkles, which I consider the cheater's version of “skin brightening”, anyway. Fresh Glow: I remember my delighted astonishment many years ago at O'Hare Airport when I happened upon a fast food stand specializing in hotdogs...wrapped in cinnamon buns. Hells to the H-E-double toothpicks YEAH, thrillseekers! Why waste time hunting and gathering life's necessities when they can be bundled up in one neat -- and luridly tasty -- package? I can't come right out and say that Burberry Fresh Glow is the makeup equivalent of a hotdog in a cinnamon bun (I don't want to oversell it, after all), but it is my new favorite thing to smear on my face. The subtitle for this wonder is “Luminous Fluid Base”, and it's a bit of a primer, a bit of a brightener, a bit of a foundation -- all in one. Fresh Glow only comes in one shade, and it serves to make my skin dewy and “naturally” pretty perfect. You can wear foundation over it if you need to, but I'm finding I like the look of it on its own, just adding a little camo around my nose and on sun spots with my trusty Bobbi Brown Foundation Stick. Bear in mind that my skin is on the drier side and I live in a desert climate, so the dewy look is what I perpetually stalk. Those with oilier skin may not be as entranced with Fresh Glow. Well, not to pick apart a compliment from a demi-goddess, but I could be a lot more fabulous -- it's a knack, or so I gather from those who exist effortlessly fabulously. And as for on trend, that's just dumb luck. Because I've been wearing peach blush since it was off trend, and then on trend before that, and then off trend before even that. I figured out a long time ago that with my pink-flushing cheeks, if I slap even more pink on top, I just look boiled. Delight simultaneously cuts the pink and gives me that fresh-off-the-moors glow (without any showgirl sparkles). 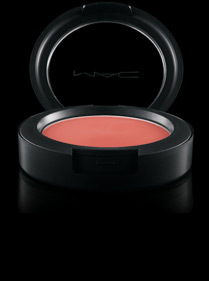 MAC Creamblend Blush in Something Special: This more or less hits the same pinky-peach spot that Delight does, but Something Special is a cream blush formulation. This Creamblend number doesn't have any shimmer or sparkle, and has an almost-matte feel to it as I apply it with my fingers, which means it stays where I put it. 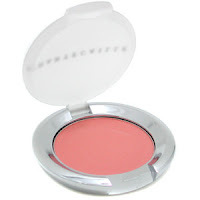 I'm a sucker for cream blush because it can be worn so sheerly, with no fancy brush required. Something Special makes me look awake and eager, two things that don't always come naturally. Thomas Dolby meets shoegaze with the pointless grandeur of the most beautifully-hollow New Wave synth sounds. Listening to Hurry Up, We're Dreaming by French one-man band M83 both soothes me and stirs up non-specific excitement. It works as waking up and making coffee music and for making-up and going out music. Thank you for the Burberry Fresh Glow recommendation, I'm on the lookout for both a primer and a good tinted moisturizer because I realized TM suits me much better than a foundation (and I love a dewy look!). Ines, I should stress that Fresh Glow is more about the "glow" than substantial coverage or color. But it mysteriously refines the look of my skin, so I find that I use much less foundation than I might normally (which isn't very much, anyway). I'm excited about your Burberry recommendations! And I'm a little pink in the cheek, too, but I never thought of balancing it with peach. Brilliant! Can't wait to try it. ooooh! thanks for the intro to M83!! also, must have fresh glow and la fumee. I have and love all of M83's albums, and I think my absolute hit-the-spot favorite is the previous one, "Saturdays=Youth". That's when they hit the sweet spot of New Wave longing and melancholic grandeur. The current continues in the same vein, but bigger and with more pomp. Katie, I found fumee to be a bit sweaty cumin on me. I guess me and Miller Harris will never get along. I have recently tried this 2 and they are what I had hoped La Fumée would be. Grisens by Phaedon and 07 Tanoke by Odin. I know you love a good incense! Oh wow, good tips! I look forward to trying both of those. Hi Abigail! I immediately loved La Fumée. 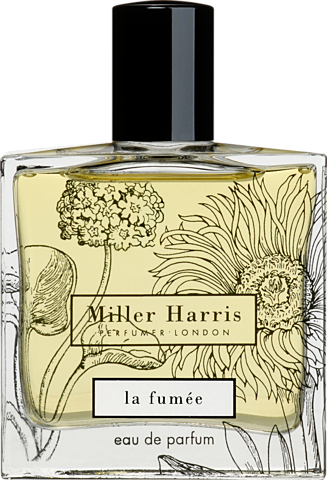 It goes to the earthier, "Mother Nature's incense" side of smells, rather than the aldehydic, crisp leanness of biehl parfumkunstwerke mb03 and Heeley Cardinal. Thanks for the recommendations. I particularly enjoyed M83.....it reminded me of some of my favorites from my youth: Heaven 17, Blow Monkeys, Dream Academy, etc. I have a quick question for you - do you think it is "weird" for a guy to wear under-eye concealer? I've never been a big fan of men that wear make-up (after I gave up performing for a life in academia I promised myself never to look Ben Nye pancake "Natural #2" in the eye again...), but my recent promotion to Chair of Dance has my stress level up and my hours of sleep slashed....resulting in dark purplish circles under my eyes most days. I tried some stuff from Benefit, but it just screamed. "HEY YOU! Check out these Pink Lines under my eyes!!! "....clearly, not the effect I was going for. 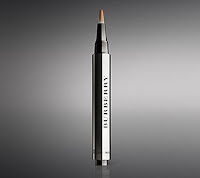 Is the Burberry concealer less pink? and less "obvious"? I pretty much embrace all 80s throwback music. Unlike throwback soul, which relies on authenticity in the performer and therefore rarely works, New Wave has "pseudo" built into its very DNA, which means that today's ersatz 80s works just as well as the real deal. Concealer for men: not weird. Any discrete complexion-enhancer (pimple cover-up, exfoliator) still falls under the "grooming" catch-all. You're not pushed into Emo territory until you hit the eye kohl and nail polish. 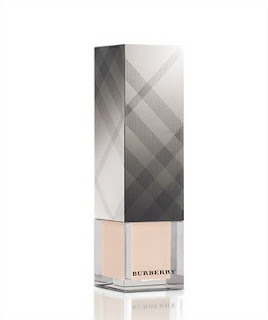 And now that you pose the question, I would submit that Burberry's Sheer Concealer makes the ideal concealer for men, because it's very subtle and doesn't require a whole ritual of primer/foundation/powder to look right. And as I mentioned, there are no strange shimmmers/sparkles to give the game away. 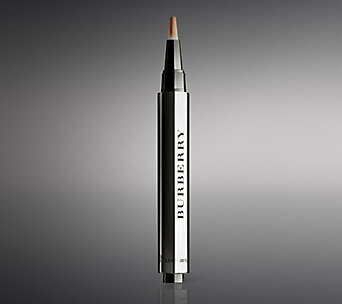 The Burberry concealer is not pink - the shades are very natural. Some of those color-correcting concealers (like the Benefit one you tried) work better under the forgiving footlights of showbiz, rather than under the harsh lights of the Theatre of Life. The Burberry Fresh Glow sounds so enticing-one product rather than two or three! But I'm always nervous when something comes in one shade only. Will it work with my relatively light, but yellow undertoned skin? And somehow, dewy and yellow don't go together in my mind. Maybe golden and glowing? Having met you and seen your skin in the flesh, so to speak, I'm sure it would work. (I also lean towards the yellow.) I know what you mean about the fear of "one size fits all" makeup (remember those "mood lipsticks"?). Think of Fresh Glow more as asset-enhancing lingerie for the face rather than as a color-depositing product. I KNEW you would like La Fumée, Katie! Please post another video soon!, we miss you! Also is there any particular rhyme or reason to when you post? Or is it just when you find time in between "real life" stuff. Just curious. Love your reviews! Aw, thanks for clamoring for more vids. I'm a bit hamstrung with those because my husband shoots them, and if he's too busy...no videos. I have a feeling that in order post regular videos, production values will have to take a dive, so I can churn them out myself. We'll see. Absolutely no rhyme or reason to my posting schedule. My goal is about 3 times a week, but real life does have a way of harshing productivity. Greatly enjoyed your take! Thanks! You do make that Fresh Glow sound like the bee's knees and I know you must like it, so on my list to try it goes. Cutting steps is always handy. Ooops....the < < thing got cut off automatically. I meant to quote your "tomato sunsets and mutterings about earthquake weather". Nothing like a few fault lines squiggling below our feet to keep us on toes, Elena. Hey yeah - "La Fumee" is a perfect eyeshadow name! Late to this post to find that you feature more from Burberry Beauty in your "winter, but not as we know it" picks, just as I have finally caught up with this range in store. A blush that makes you look awake AND eager does sound like a must-have item, especially given my proclivity for staying up through four time zones. And La Fumee deserves a retrial after my hasty romp through Osswald's. Meanwhile, my brother and his wife are just back from South Africa and bought themselves his and hers Miller Harrises, which they were amazed to see in the duty free (though the line is creeping in more and more): Citron Citron for him and Noix de Tubereuse for her. He is also one up on me and bought an African perfume called Indalo! ARSO(WHAT A NAME!) 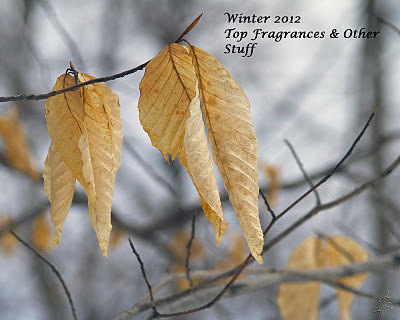 BY PROFUMUM ROMA IS A BEAUTIFUL INCENSE FRAGRANCE , JUST PERFECT FOR WINTER.